On Thursday, Micron Technology, Inc. (NASDAQ:MU) will report its fiscal second quarter earnings (it will be after the market closes). No doubt, this will be a critical announcement, as Wall Street has pumped up the shares in a big way. For the year so far, Micron stock is up a sizzling 47%. This has beat out other top tech operators like Amazon.com, Inc. (NASDAQ:AMZN) and NVIDIA Corporation (NASDAQ:NVDA). OK then, so what are the expectations for the MU earnings report? The Wall Street consensus is calling for revenues of $7.28 billion, up 56% on a year-over-year basis and earnings of $2.74 per share. And, yes, the company has a good track record of exceeding forecasts — which should help Micron stock. Micron announced a new 64-layer, 3D NAND storage platform. The technology is focused on high-growth categories like AI (artificial intelligence), VR (virtual reality) and facial recognition. Keep in mind that — according to Gartner — about 80% of all smartphones will have client-side AI capabilities by 2022. Management increased its guidance for the second quarter. The range on revenues went to $7.20 billion to $7.35 billion, up from $6.80 billion to $7.20 billion. The earnings also went from $2.70 to $2.75 per share, compared to $2.51 to $2.65 per share. As should be no surprise, on the news Micron stock had a nice jump. Micron and Intel Corporation (NASDAQ:INTC) agreed to update their joint venture for NAND development. The two companies will continue development on their third generation offerings. However, after this, they will work independently. When it comes to Micron stock, one of the keys is the overall supply and demand fundamentals for DRAMs. Let’s face it, the memory chip business is vulnerable to major swings. But, for the most part, things seem to be fine. It’s important to note that the industry has only a few players –and they have remained disciplined with their production. According to a report from Goldman Sachs Group Inc’s (NYSE:GS) Mark Delaney, the pricing on 32 GB server modules remain strong. Since mid-January, they have jumped from $300 to $310 to $315. In light of this, Delaney increased the price target on Micron stock from $55 to $58. Now, this is not to somehow imply that the supply will remain tight for the long haul. The fact remains that DRAM chips are a commodity. In fact, it seems like a good bet that production will start to ramp up next year. Yet, it still seams reasonable that prices will likely not collapse either. After all, the demand side is likely to remain particularly robust, as DRAM chips become more important for technologies like cloud computing, IoT (Internet of Things), AI and autonomous driving. I’ve been a bull on Micron stock for quite a while. The company is positioned to capitalize on various mega-trends, which should help drive sustainable growth. The valuation also remains very cheap, with the price-to-earnings multiple at only 10. This is nearly half of the average level of the S&P 500. But as for the near-term, I’d be cautious. Micron stock has gone parabolic lately — as expectations have gotten to giddy levels. Note that the average price target on Wall Street is $62.75, which implies only 4.5% upside. And while I think the company will beat Q2 expectations, it may not be enough. In other words, it’s probably best to wait on this week’s earnings report before making a purchase. 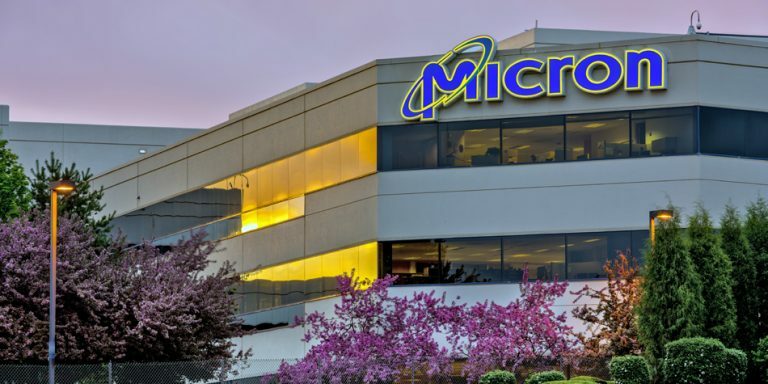 Article printed from InvestorPlace Media, https://investorplace.com/2018/03/what-expect-micron-technology-mu-earnings-this-week/.